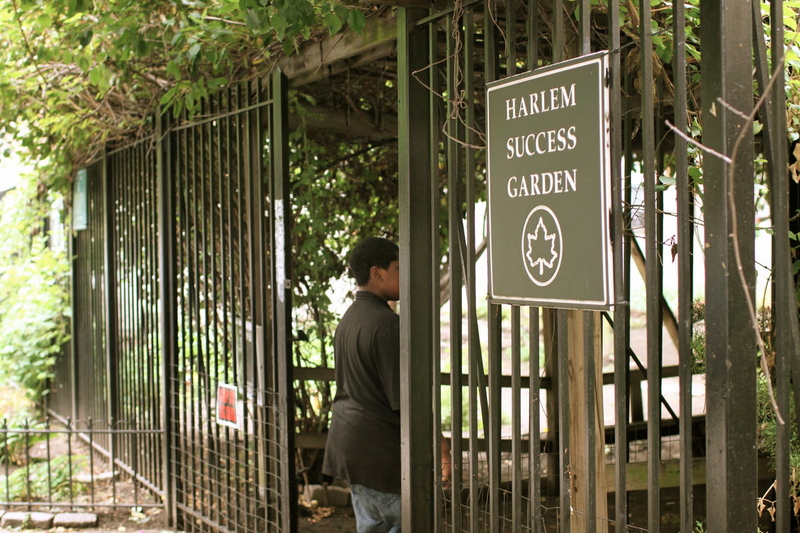 The same hands that are opening the limousine door for celebrity clients such as Edward Norton, Matt Damon and Tom Hanks are planting the seeds of change in the Harlem Success Garden. Tony Hillary is the brains behind the limousine company T.Z.R Transportation with an all-star clientele, as well as the founder of the non profit organization Harlem Grown. How Tony seamlessly brought these two worlds together is where the story gets interesting. Let me explain. Tony Hillary started his own limo company T.Z.R Limos in 1999. Over the next eleven years he built the business up to one that serves many Hollywood VIP'S. Tony developed personal relationships with many of his clients, and the airport pick-ups usually led to lively discussions about current events. In the 2009 recession, Tony saw a massive decline in bookings, resulting in his spending more time at home, brooding about his future. Feeling depressed and watching his business go down the drain, Tony needed something to fill his time. He started reading about the American education system. He decided that he wanted to get involved working with children. He also made a life choice; he decided, "If I can't be rich, I might as well be happy." Tony was about to experience a new form of richness in his life, one that is not based on monetary rewards. Tony started volunteering at the public school PS175 at 134th and Lennox, in the heart of Harlem. He instantly became a father figure to the students at the school. For many of them, Tony is the only constant male figure in their lives; very few of them live with their fathers. The majority of these children live in government housing; approximately 10 percent live in homeless shelters. Many of these students suffer from obesity; healthy options are too expensive and hard to find in the streets that are saturated with fast food restaurants. It is hard to believe that all of this 'just above the poverty line' living takes place just 30 blocks north of the swanky Upper East Side. After volunteering at the school for a few months and becoming a regular fixture there, Tony started to take interest in a fenced in area across the street. When he asked in the neighborhood about the purpose of the space, Tony found out that it was a locked up Green Thumb Garden, one of the 500 communal garden spaces throughout New York City. Whoever was in charge of the garden had turned it into a neighborhood dump and drug haven. The local school children would cross the street to avoid walking past it; they thought that it was haunted. This is how Harlem Grown, the non-profit organization that Tony founded, was started. He decided that he wanted to reclaim this space and make it a safe place for children to learn. With the help of some money and a phone call from Edward Norton, Tony convinced the New York City Parks department to allow him to reclaim the garden. So there Tony was with a fenced in dump and a twenty-five thousand dollar start-up fund to turn this forgotten space into the home of Harlem Grown. Immediately, Tony hired Sean. Sean was born in Georgia and grew up on a farm; he has been harvesting crops since he was a little boy. Together, Tony and Sean cleaned out the garden. They pulled out the piles of trash that had accumulated over the years of its neglect. After the space was cleaned, the two became Google Gardeners. Self-taught, they came up with ways that they could plant a garden that would eventually grow before the children's eyes. They started off by growing tomatoes and lettuce; in the past year and a half they have added over eight varieties of vegetables and fruits, from tomatoes to melons. The latest addition is a small herb garden. The garden is so inviting that at least eleven different bird species nest and fly through this space. The birds' songs are a welcome change from the harsh noises of the congested streets of Harlem. The garden is now a beautiful green space for all of the community to use; as a result, everyone is thankful to Tony for reinvigorating this space. Yet the most astounding thing about the garden is the effect that it has had on the children from PS 175. The 400 children who come through the garden monthly have learned so much from the green space and associated programming that it is hard to fully recap, but here are the main points that I noticed after volunteering there for a month. In the garden, the children gain a respect for nature and the environment. They study about earth sciences and insects, gaining insight into the fundamentals of nature. This space is so far removed from the concrete jungle of the projects that is home to these children. Through their experiences, they learn to understand the need to preserve and protect nature. In the garden there is a composting system and recycling program. Recently Tony brought that same model into the school cafeteria. He assigned "Recycling Ambassadors" who monitor how people dispose of their garbage after lunch. In addition to having a smaller environmental impact, the children now have a sense of responsibility and pride, turning the cafeteria into a hub of social and environmental stewardship. This appreciation and respect for the earth has manifested in the children's respect towards each other. The principal of P.S175, Ms. McClendon, observed that fights in the school were down eighty percent. When the garden was first opened, each of the 400 students planted an individual seed. Therefore each child takes ownership in the growth and development of the garden, as one of those seeds is their own. This teaches the children to respect each other's space, and by doing so the children can respect each other in the classroom. Harlem Grown teaches students about healthy lifestyles. When I started volunteering, I noticed that many of the children's packed lunches consisted of a soda and bag of chips. Tony has partnered with Wellness in Schools to change all of this. He now has a chef come to the cafeteria and cook with the fresh grown vegetables from the garden, showing the children that healthy food is delicious. It is also breaking the stigma that vegetables or un-fried foods are poison. To tackle the current obesity problem in the school, Tony is implementing a "thousand pound challenge" where the student body will collectively lose a thousand pounds. Sean Combs', (also known as P. Diddy) trainer Mark Jenkins will introduce a physical activity program that will teach the children how to maintain a healthy weight. 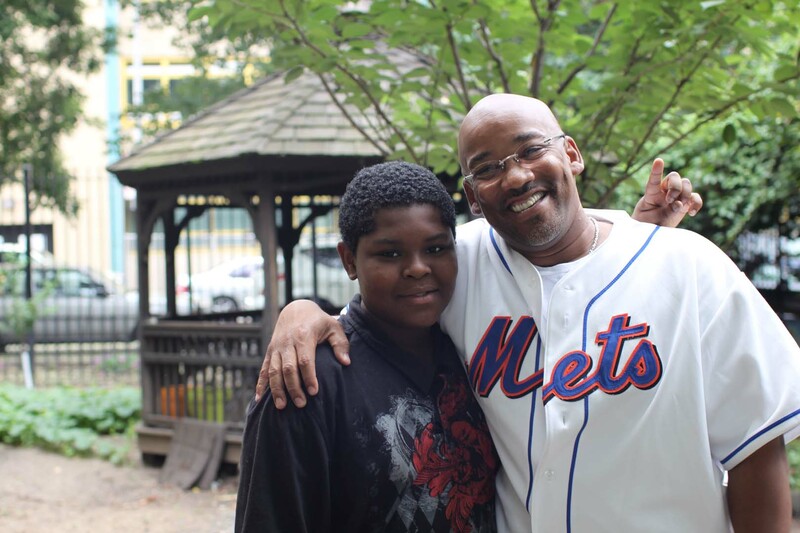 "Mr. Tony," as the children call him, has created an organization that provides a physical space for learning to take place, as well as programming and mentorship that positively impacts the Harlem community at large. The garden is a labor of love, it has taken hard work and dedication to keep it going; Tony is no professional grant writer and has seen his own wallet shrink drastically. Yet the optimism and smiles of the community involved make him realize that it will all work out. As the fresh vegetables and initiatives at Harlem Grown continue to grow, Tony's life has been immensely enriched and he is looking forward to the changes that will occur as the program blossoms. Tony and Roderick, an 11 year old student who takes part in Harlem Grown programming.